Enjoy and regenerate yourself to the rhythm of nature? Discover the Parigi Hotel holiday packages! 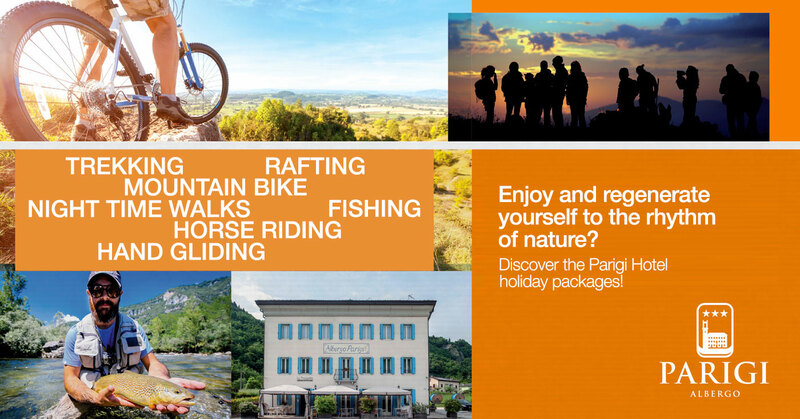 Hotel Parigi in collaboration with local professional associations offer many competitive holiday packages that will satisfy your need to regenerate yourself to the rhythm of nature. Breath the fresh clean mountain air will enjoying the breathtaking scenery of the area. Situate on Lake Corl, Parigi Hotel is a welcoming and elegant place to stay, with an excellent restaurant where you can taste local delicacies throughout the year. But the hotel is also a place where people can meet, and is often a focal point for local activities in the area. Contact us now and discover our current packages on offer!